I looked for a while for just the right pattern. 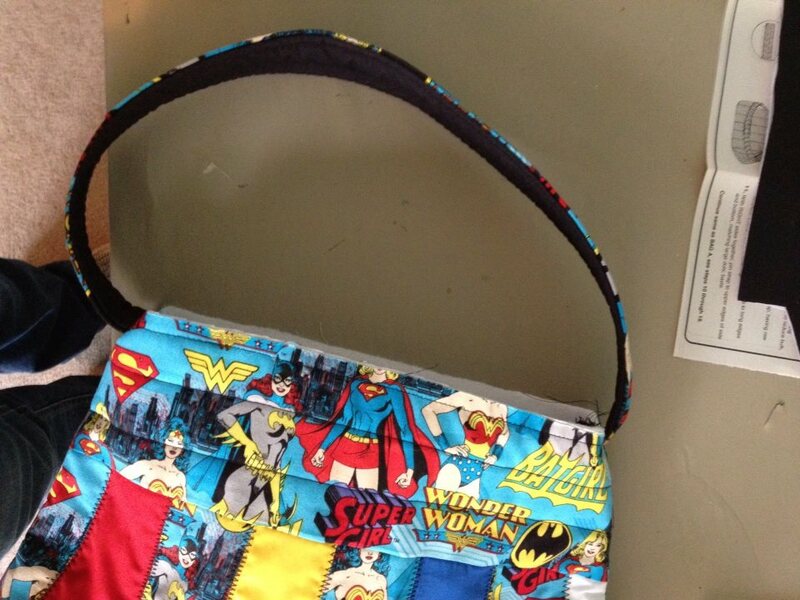 I wanted a bag that would look like a purse, and not a diaper bag. Eventually I found this Simplicity pattern. 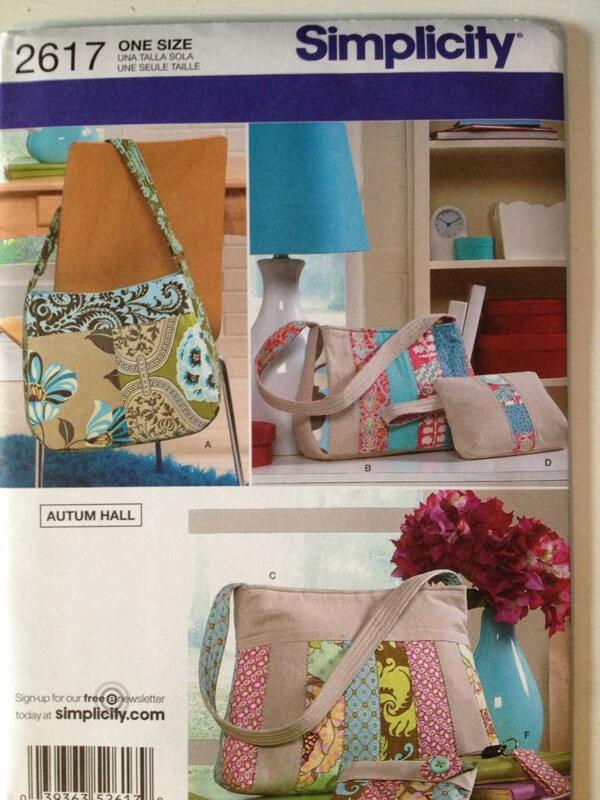 I followed the pattern for Bag C, which is the big bag in the lower right-hand corner. 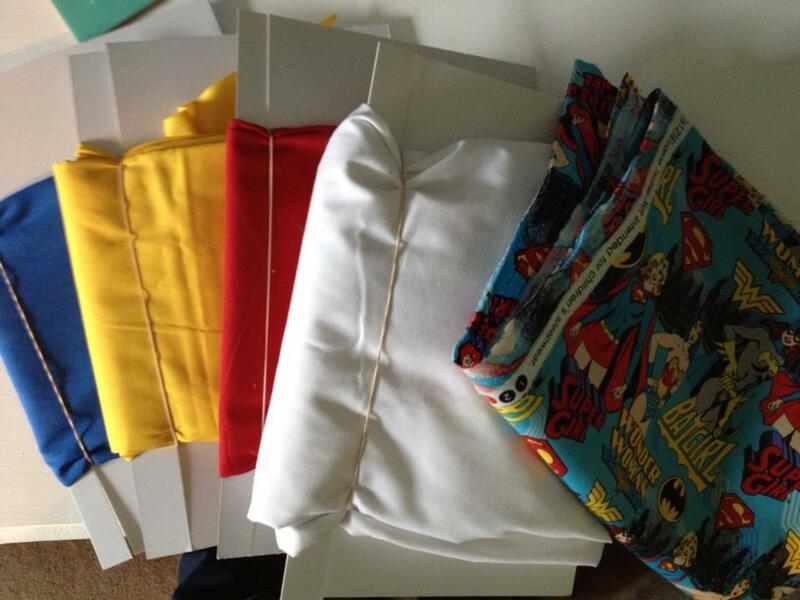 The back of the envelope states what supplies you’ll need – fabric, interfacing, padding, 7″ zipper and a magnetic snap. I mistakenly picked up the non-iron on interfacing, but you end up using a basting stitch for most of it anyways, so this didn’t cause me too many issues. 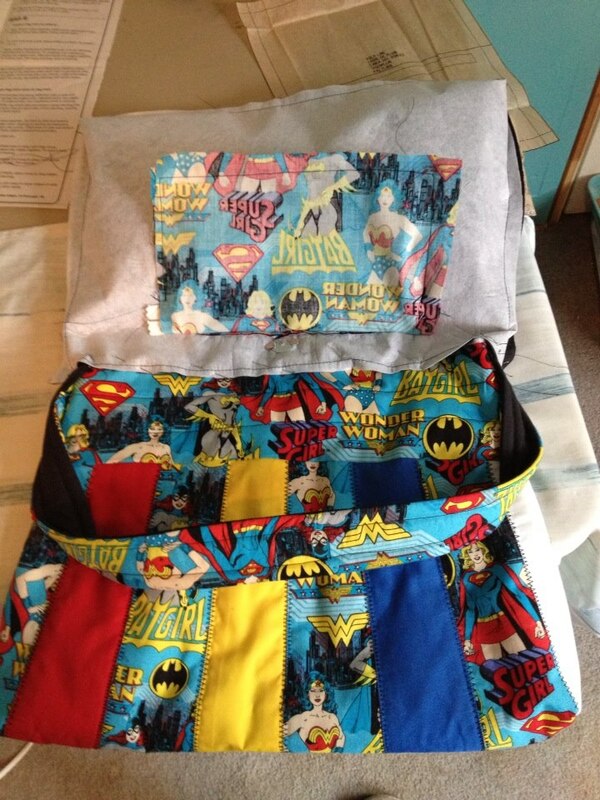 I also went with a thinner padding, since I didn’t want a diaper bag look. 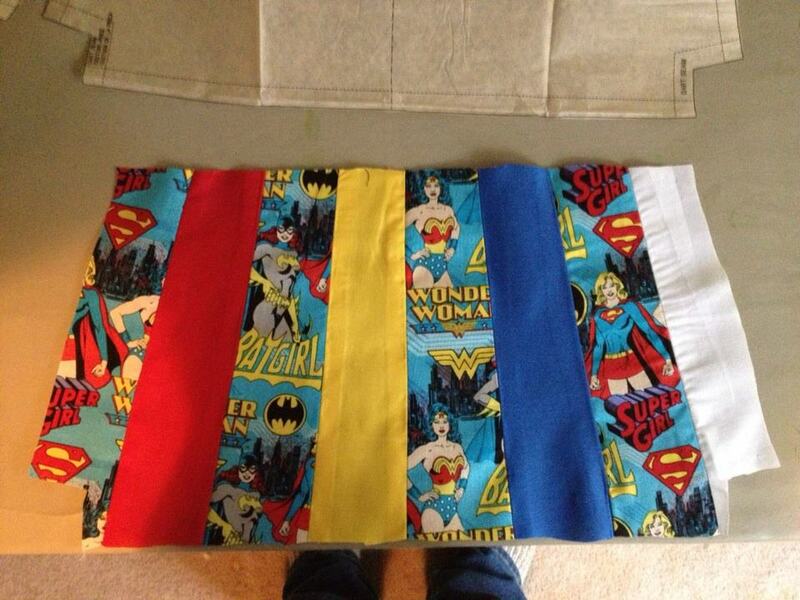 I found a fantastic superheroine-patterned fabric at Hancock Fabrics in a cotton blend. I had the other broadcloth colors at home. 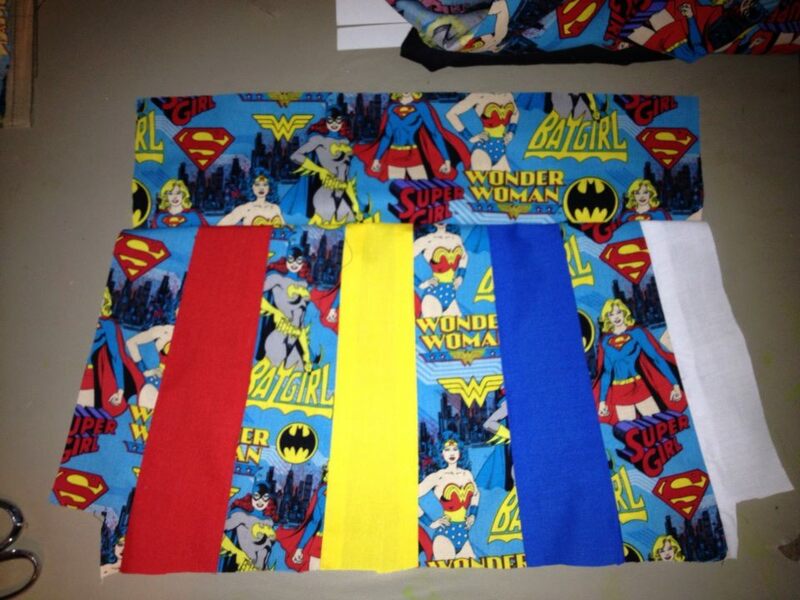 The pattern calls for 7/8 yards of everything except the interfacing which calls for 1 1/2 yards. I always round up to leave room for error, so I made sure I had at least a yard of every color I wanted. After cutting approximate sizes around the pattern piece, I layered the fabric before stitching, so I could see what the final result might resemble. After trimming up the “patches” to the right size, they got stitched together and trimmed down to size. I then added the top band. Even though the interfacing I bought wasn’t iron-on, I decided to run an iron over the fabric side, to make sure the pieces stayed together. This is a shot from the interface side. You can barely see the patterns and colors. 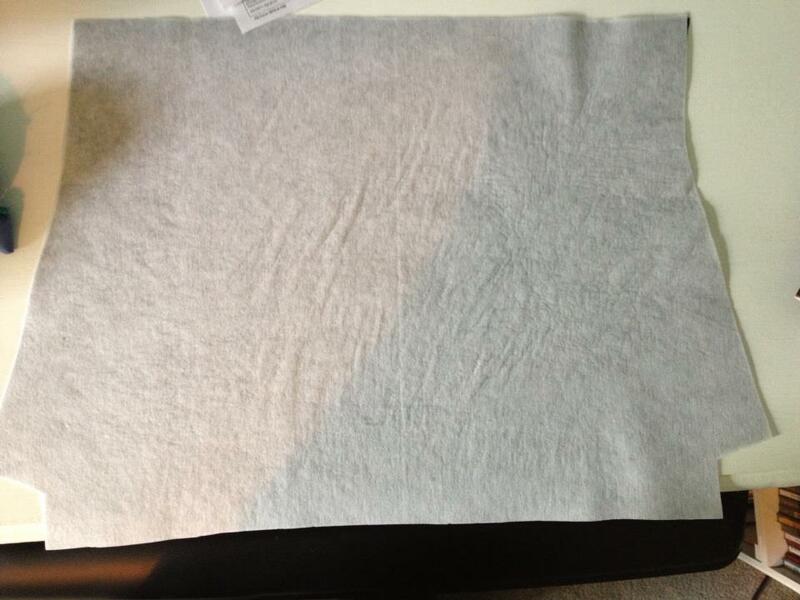 I then cut the padding to the same shape. All three pieces got stitched together to make one side. The same thing is done for the back side of the purse. 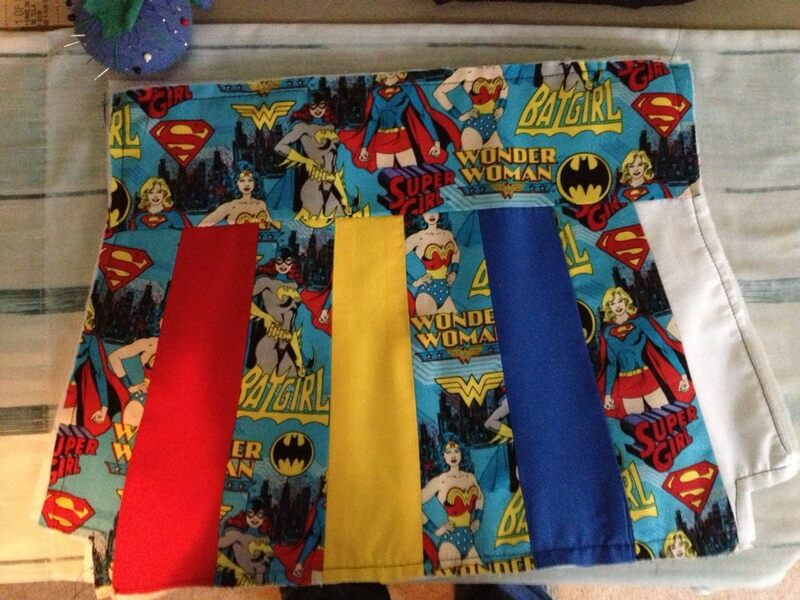 I used the same technique, alternating the superheroine fabric and solid colors, making sure that a solid color on the end matched up with a pattern piece on the other side. Next was the strap and strap lining. 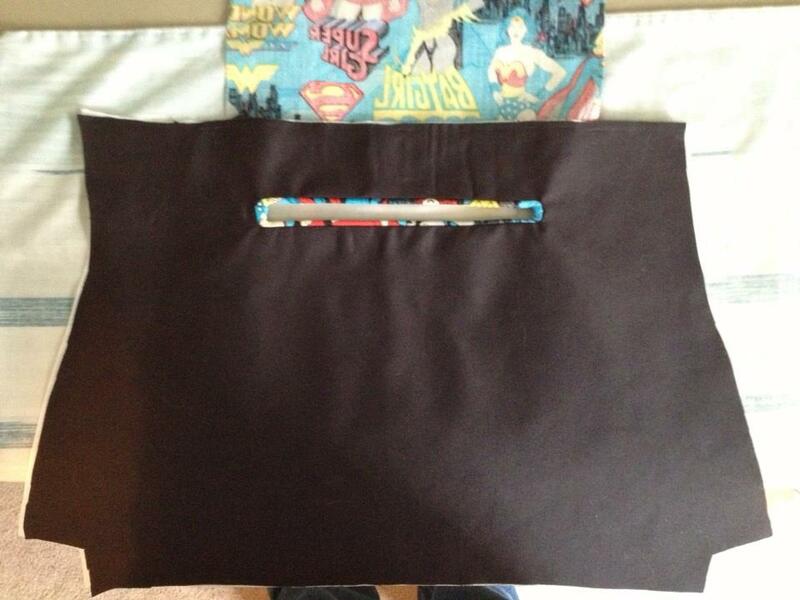 I went with black as the strap lining, since I plan to use black for the inside lining. You know, for comics. The next step was to put some decorative stitching on the sides. 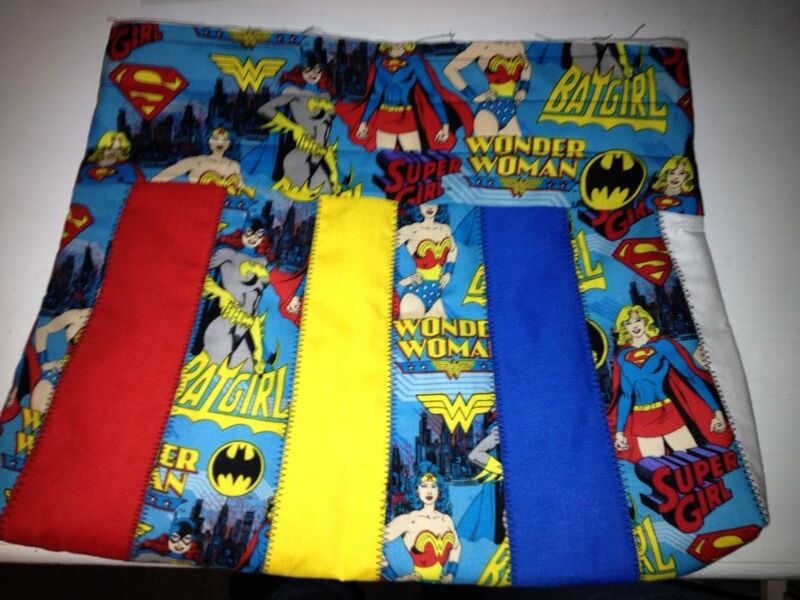 The stitching also helps to keep the padding and interfacing in the same place. I used a stitch on my sewing machine that I’ve never used before, and I honestly don’t know what it’s true purpose is. The pattern called for some kind of embroidery, or hand embroidery if you like, but I”m not much of an embroiderer. The pattern also calls for some straight stitching along the top, again for decoration and sneaky structure, to keep the padding and interfacing together. I highly recommend doing these stitches. It really gives the bag a polished look. Following the directions, I made a corner. 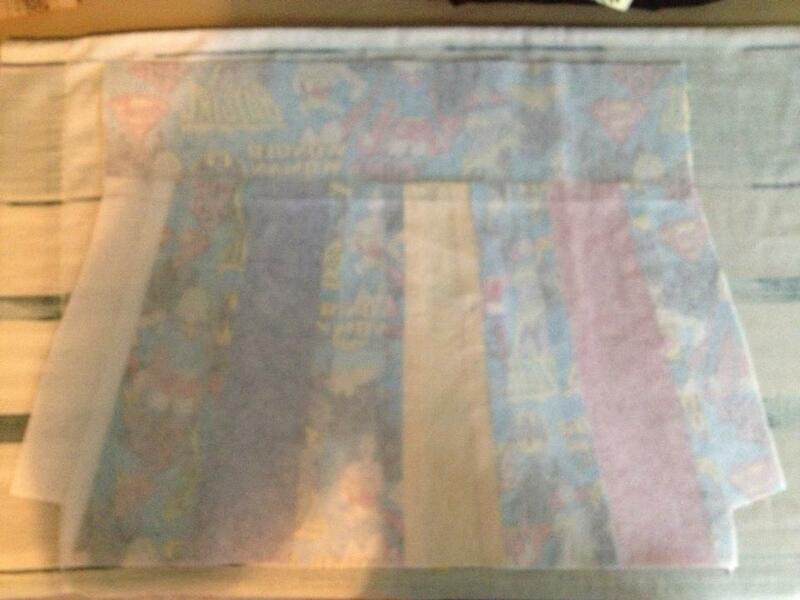 It gives the bag some nice space at the bottom, and the pictures in the directions are very easy to understand. The white stripe on the left side is the front of the bag, and the patterned piece next to it is the back side of the bag. 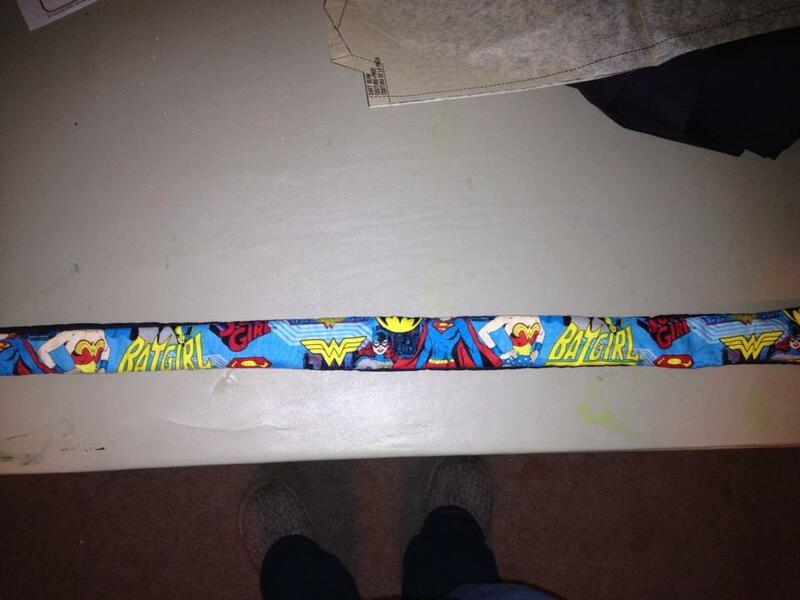 Next was attaching the lining to the top of the strap. Padding and the fabric are basted together before you attach the two pieces right sides together, so you can turn it inside out (to reveal the correct sides) with a clean, finished edge. I highly recommend following the pattern’s suggestion of trimming up the excess padding, as that made turning the strap a lot easier. Then the strap was attached. 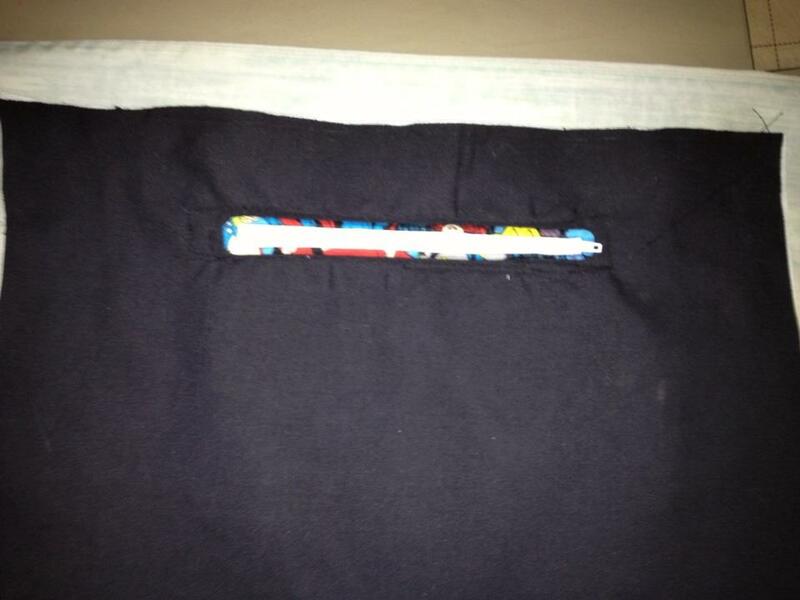 Going back to the lining, it was time to attach the pocket material. The pattern was unclear as to how the finished pocket would look, and since I was putting a patterned piece inside, I wanted to make sure everything was going the same way. 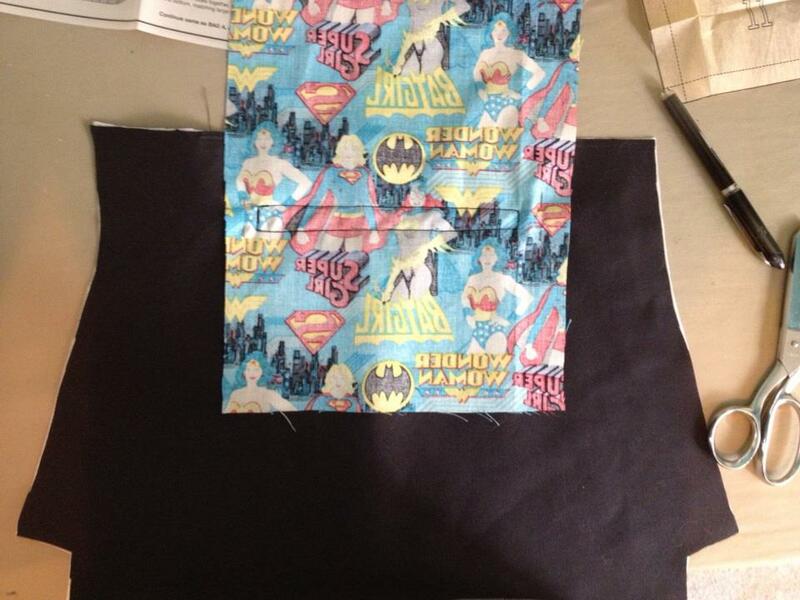 I cut out the seam-matching part of the lining pattern piece, so I could line it up with the pocket. 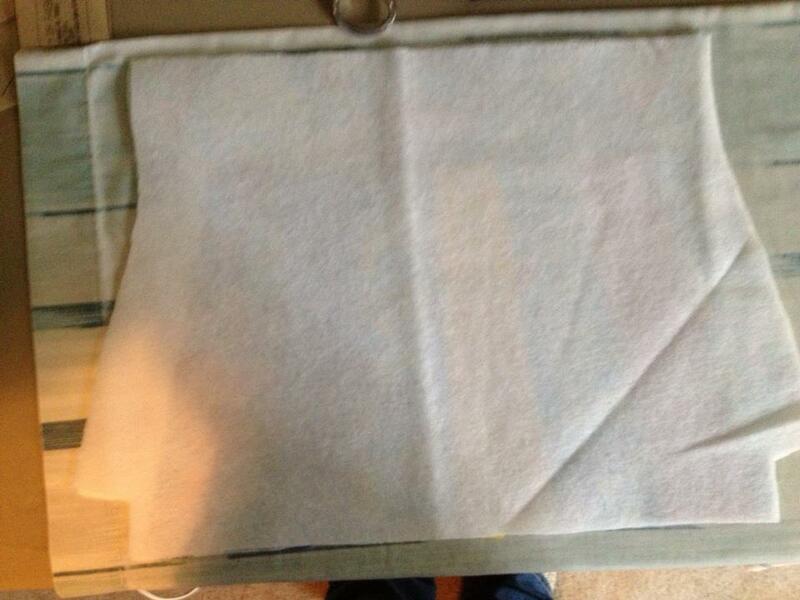 This let me trace onto the fabric directly, since I knew no one would be able to see my marks. 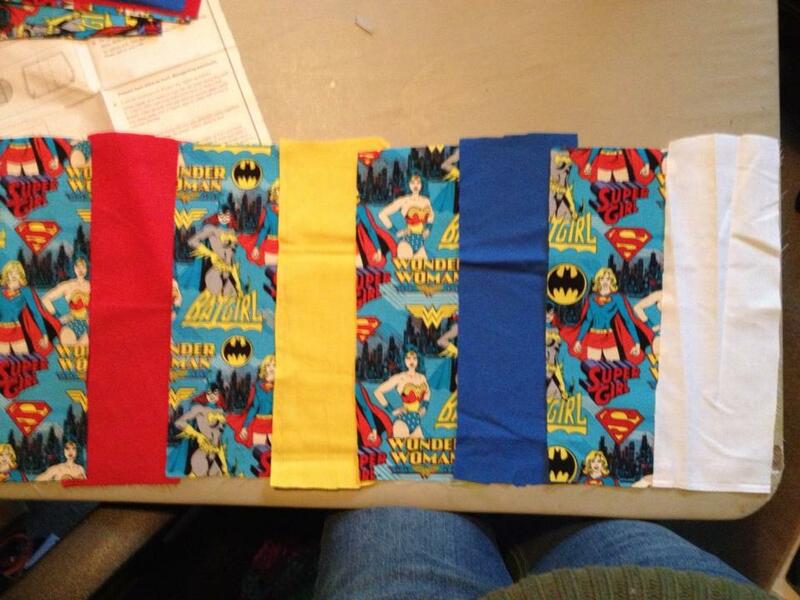 Then I sewed along the line, like the instructions stated. After everything was attached, I cut a line through the center of the box, with diagonals going to the corners. The pattern’s illustration is really clear with this step, which was helpful as I’ve never made a pocket before. The next step was to install the zipper, which is always a little challenging for me. One broken sewing machine needle later, I got it! I already had the white zipper at home, and it went with the theme. If I were buying new supplies, I might have gone with a black zipper. 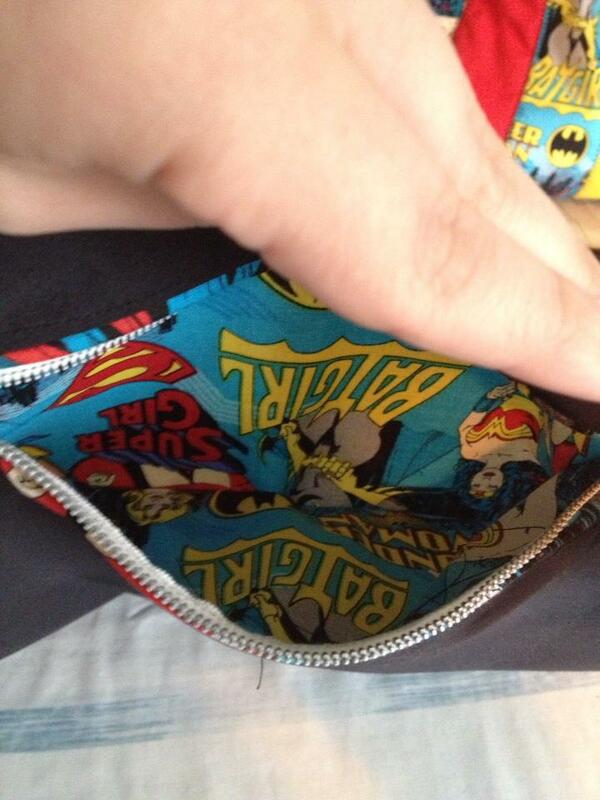 Here’s the completed pocket. 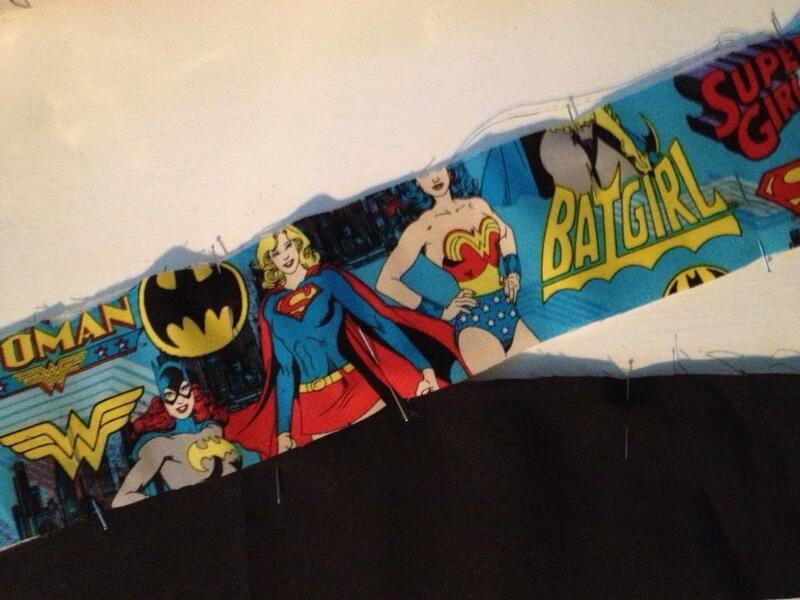 As you can see, the patterned fabric is upside-down. It wasn’t a big enough deal for me to take it apart and redo it, but if I were going to do it again, I’d know to turn the pattern upside down, so that the people would be right-side up when I was done. 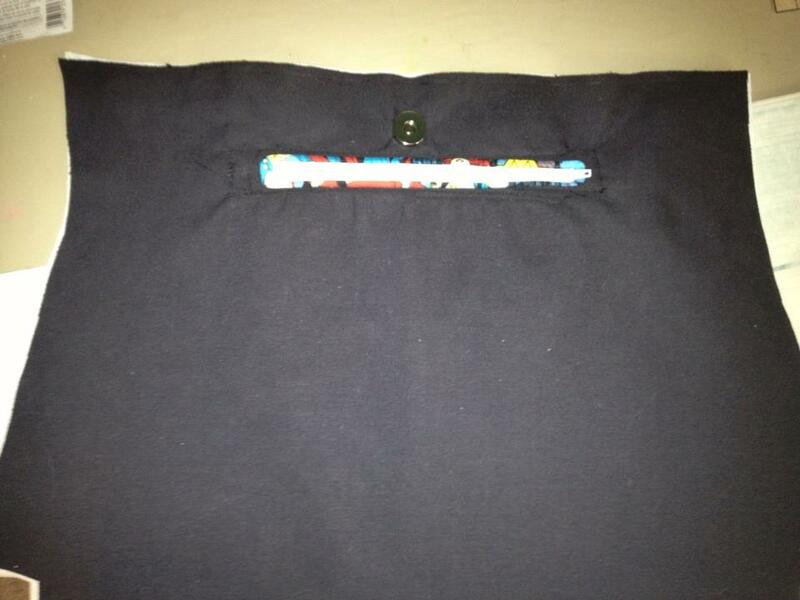 The next step was to install the magnetic snap, which was much easier after having installed the zipper. The directions were on the back of the packaging. 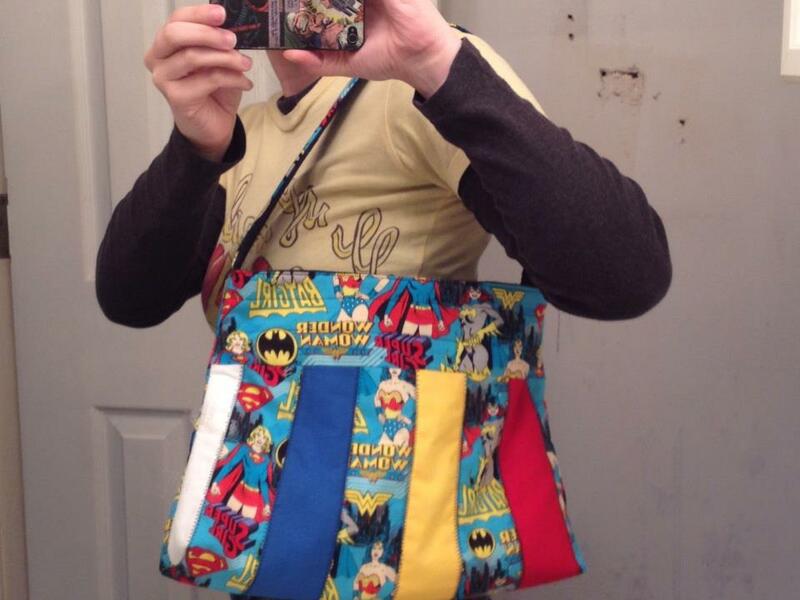 The next step was to attach the lining to the purse. This got a little tricky. The picture is the wrong way to do it. I had some trouble understanding the pattern’s directions here. 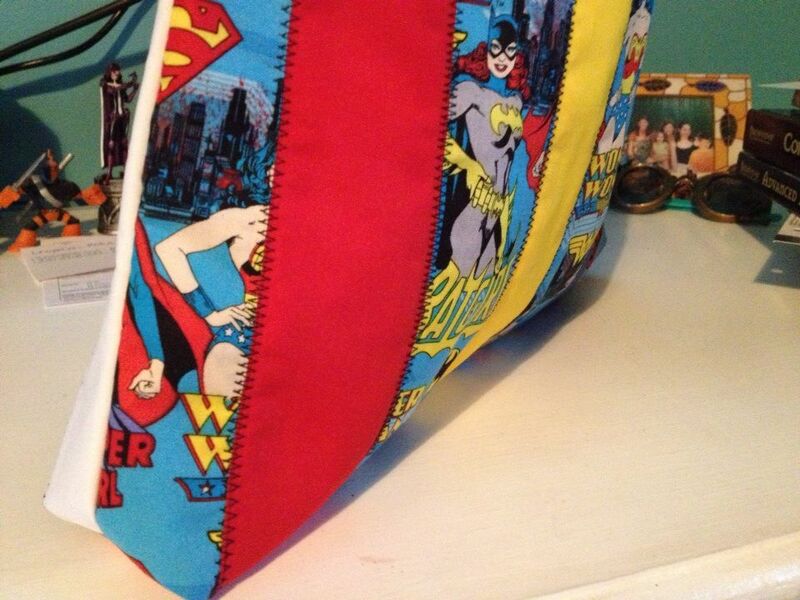 What you want to do is put the outside of the purse inside the lining, with the interfacing showing. Leave a long side open. 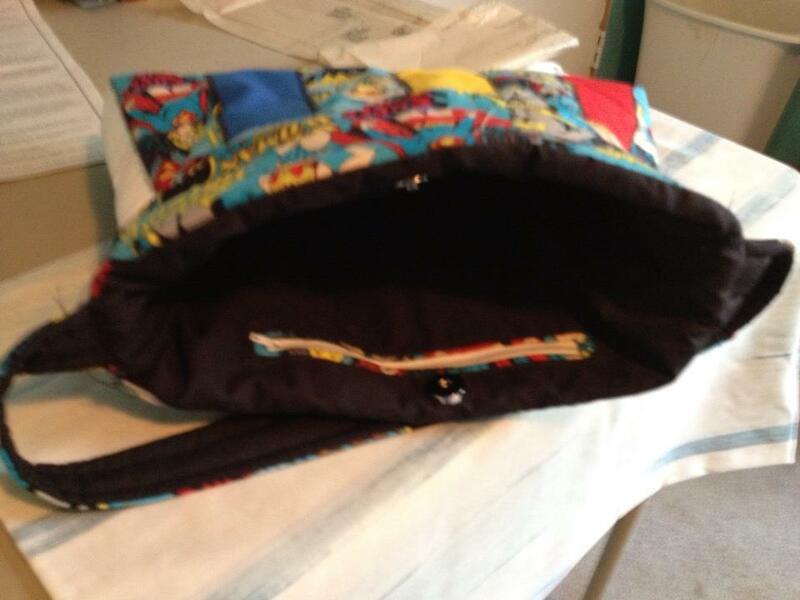 Stitch all the way around the top and pull the purse through the opening you left in the lining. 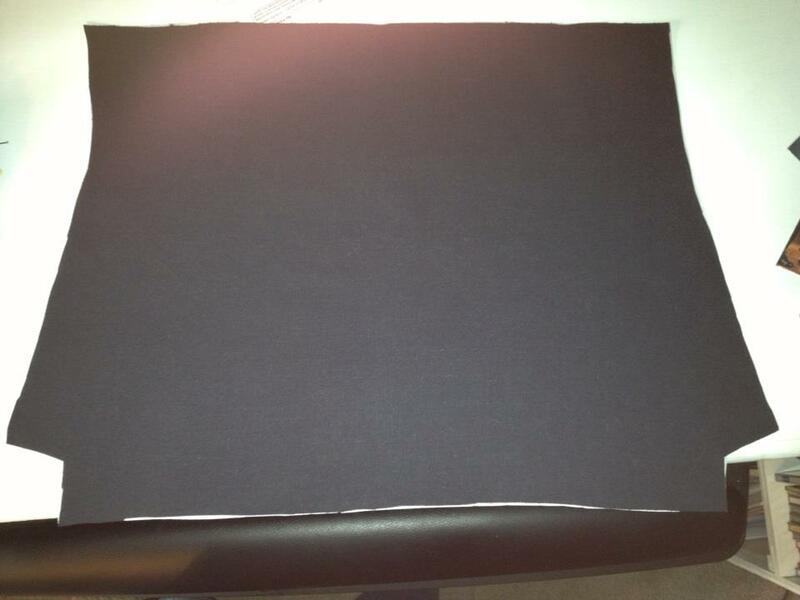 This will make the black lining part able to be stuffed inside the outside part. Jen had so much fun with this, that she’s going to make the makeup bag as well. It’s the perfect size to hold a camera and SD cards!